The Jerusalem Post reports: Humboldt University in the German capital lodged a criminal complaint against activists who disrupted a talk by MK Aliza Lavie and an Israeli survivor of the Holocaust in June, a spokesman for the university told The Jerusalem Post on Friday. Humboldt University in the German capital lodged a criminal complaint against activists who disrupted a talk by MK Aliza Lavie and an Israeli survivor of the Holocaust in June, a spokesman for the university told The Jerusalem Post on Friday. 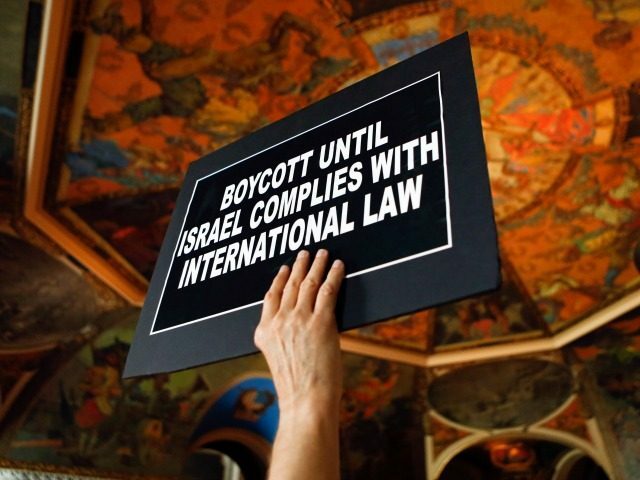 The university’s criminal complaint, which appears to mirror that of the Friendship Society, involves allegations against BDS activists Ronnie Barkan, Majed Abusalama and Stavit Sinai, who face charges of trespassing for their activity at the Humboldt University event with Lavie.